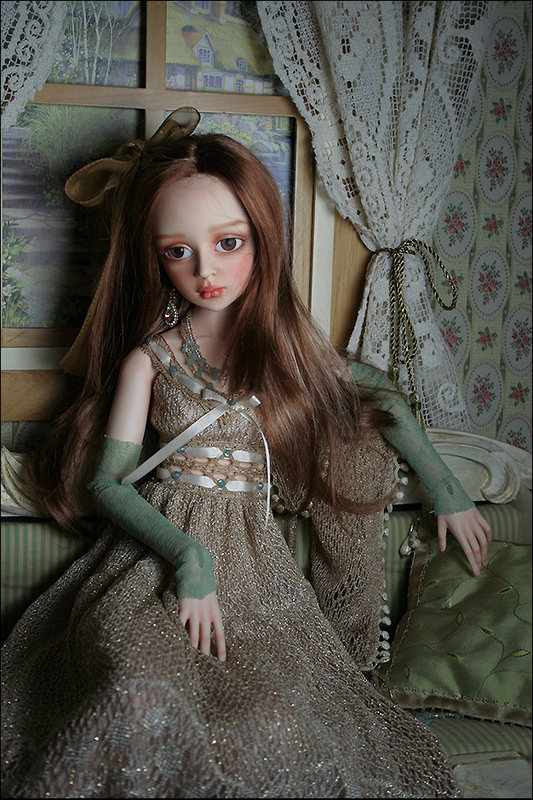 This doll will be for sale Saturday - May 24 at 3:00 pm EST. 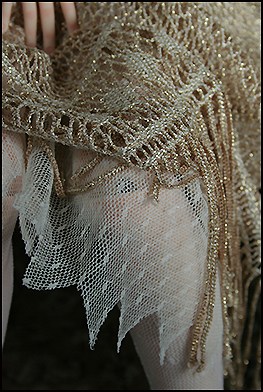 Tessa's dress is a knit fabric with a metalic thread running through it. 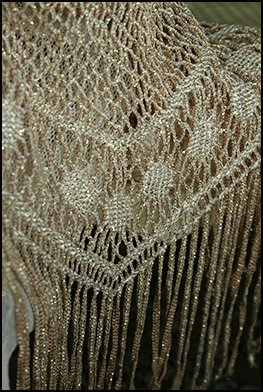 The skirt has fringe at the hemline.There is a netting underskirt . 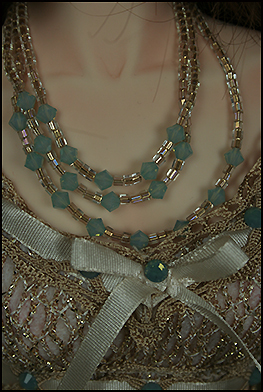 The neckline and waist detail is lace with a ribbon and embellished with Swarovski crystals .The necklace is glass beads and crystals. 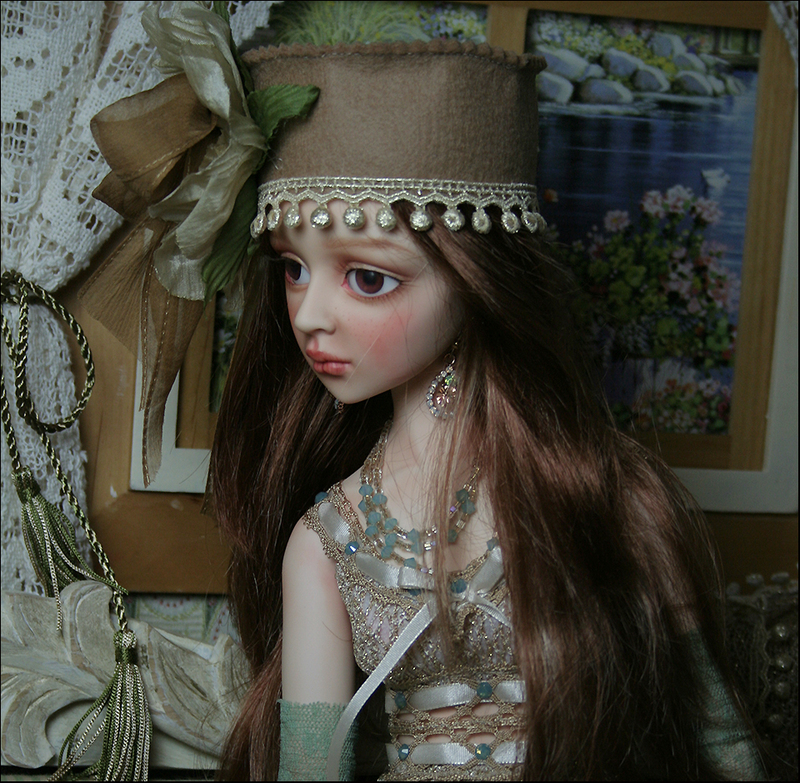 Her leggingss are stretch knit as are her gloves.On her head she wears a felt hat trimmed with a silk flower and bow. Her hair bow is silk chiffon. 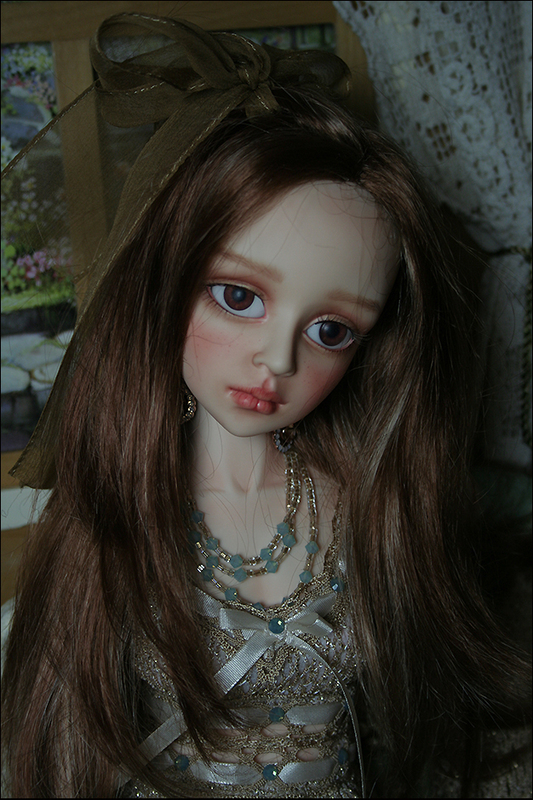 Her wig is from "Monique Gold' and her eyes are from "Eyeco" platinum series.